Firefox is beleved to be a faster browsing experience than IE. But would you want to speed up Firefox also. There is another post on this blog just for that. Still not satisfied, try Fasterfox, the built-n Mozilla Firefox add-on. 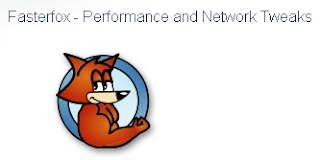 "Fasterfox allows you to tweak many network and rendering settings such as simultaneous connections, pipelining, cache, DNS cache, and initial paint delay." For those, who are not much familier with pipelines, DNS, load times etc., they have simplified life by providing a few preset settings for optimum performance. You can choose any preset condition like Default, Courteous, Optimized or Turbo-charged (the fastest one). I really find it speeding up my system and worth giving a try.